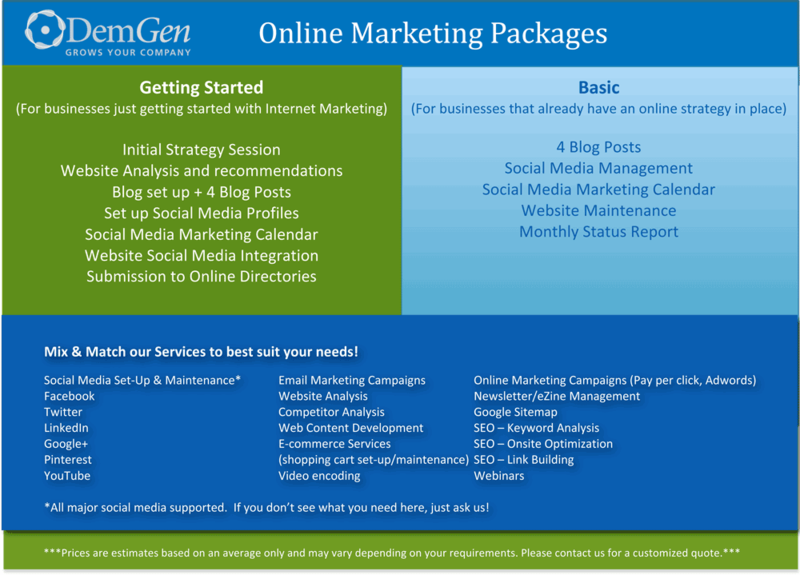 DemGen is all about implementing strategies, systems and tactics to grow your businesses. Our Expert Team can take on any and everything that is distracting you from the tasks you know only you can do. Many of our clients have achieved great success, but have no clear vision for the future. We recommend they go through our Future Vision Map (FVM) program to define their goals and the required steps to get there. This program helps us to prioritize and implement the essential strategies required to grow the business. We love the FVM because all of our graduates find their business revitalized. They have a clear action plan and are confident they can achieve their goals. It’s great to see our clients fall in love with their business all over again! We especially love clients that already have a clear vision for their business. Our turn-key, one-stop-shop approach allows us to start making a positive impact with their business immediately. With more time to focus on the essentials, they often surprise themselves and become more successful than they ever imagined possible. 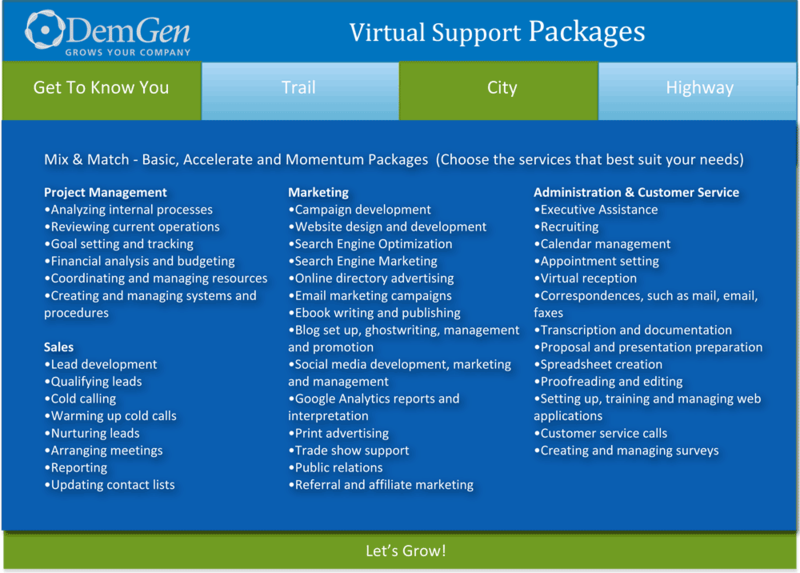 How fast do you want to grow your business? How many tasks can you delegate, so you can focus on the essentials for YOU? How quickly do you want to achieve your goals? We’re the implementation team that moves the needle for business success! If you aren’t already expecting 10x growth this year and looking for experts to help you get there, you’re not thinking big enough yet. When you’re ready, we’re here to help! Click here for our complete service list.